This is a fact : fashion is not untouched by the ravages of populism, and what could be a better symbol of populism in fashion than the aggressive and absurd campaign against faux fur ? From “faux fur kills the planet” (really ?) 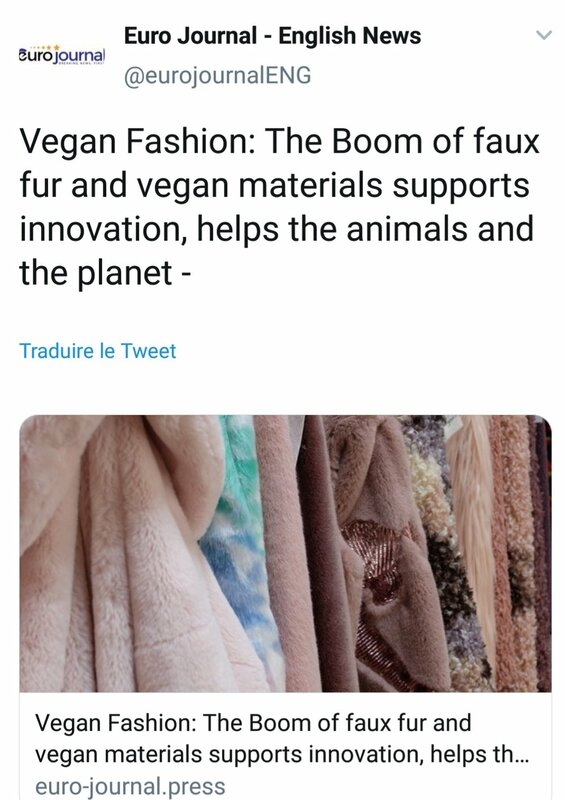 to “faux fur endangers marine life” (we thought abandoned fishing nets did the job) the imagination of those who tries to break the faux fur trend is limitless. Recently, we tried to interact with a blogger and a journalist, both having written inaccurate things about faux fur. When we initiate a first approach with a blogger or a journalist, our basic assumption is that the person we are contacting should be interested in hearing balanced information backed-up with facts or at least has an open mind and a minimum of integrity. The responses (or non-responses) we received from these two persons were symptomatic of a race to the bottom in the quality of the discussion regarding sustainability. One of them, Bill Wirtz, who wrote an article named First fur, now wool ? incidentally suggested a direct confrontation which we accepted. The offer is still pending at the present time. Disappointing but expected… It is part of the lobby strategy to avoid direct confrontation which says a lot about the fragility of the « anti faux fur » argumentation. Not only the journalist refused to take into consideration our factual argumentation but eventually pursued his disinformation tactic in publishing a french version of a similar, non modified article. In this way, the so-called journalist made clear his intended decision to mislead the readers while refusing to at least evoke both sides of the story. While the absence of media coverage regarding the smear campaign the faux fur sector is facing is blatant, we somehow managed to express ourselves on the website Eurojournal. A honest and serious media that allowed us to share a correct approach of what is synthetic fur today, and its positive impact on fashion, while animal-based fur remains the unsustainable and unethical option. (read our article here). Last year, 20% animals less have been exploited for their fur, thanks to fur bans and the innovations in faux fur. All this with less impact than animal-based fibers. In order to promote sustainability, we need to make the conversation…sustainable! A message hard to understand for some bloggers and journalists more concerned in promoting a trade body than saving our planet. Even more disturbing is the attitude of some politicians like MP Mary Creagh who has been busy denigrating faux fur in some medias but refused to engage in a fruitful dialogue. Very troubling especially for someone who was in charge of a parliamentary inquiry into sustainability in the fashion industry, a welcomed initiative, despite being contacted by us and by the much respected faux fur house Helen Moore, a family run company employing 50 people in Devon, UK. In other words, MP Mary Creagh speaks about a crucial matter linked to the textile industry without talking to all the parties involved. 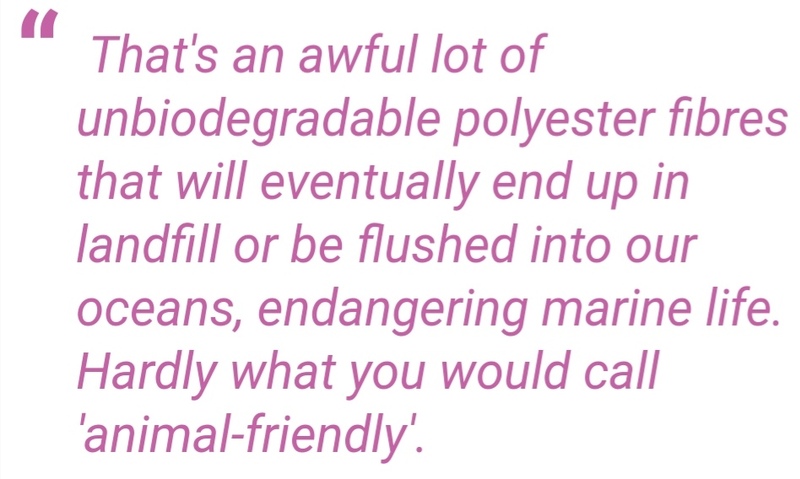 Yet, Gill, from Helen Moore raised some very important points in the e-mail she sent to Mary Creagh, notably about the concept of « plastic fur » a new buzz word created by the fur factory farming lobby. Fake fur has been cited as being symptomatic of the fast fashion industry, which seems completely out of proportion to its prevalence. If fake fur is called plastic fur shouldn’t all synthetic fashion be labelled similarly? For example: plastic trainers, plastic sportswear, plastic underwear…the list is endless. The conversation is being negatively impacted. Self claimed “eco-expert” bloggers and unethical journalists harm the quality of the conversation around sustainability in fashion. The “lobbyists in disguise” phenomenon should be identified consistently if we really want to shift towards more sustainable discussions. In our article published on Eurojournal we ask some pressing questions. Why should vegan fibers be more perfect than perfection ? Since this over zealousness is hard to comprehend. Do we want natural fibers or eco-friendly fibers ? Because the super idealized vision of what is natural leads dangerously to over simplification of complex issues. And this has been perfectly understood by the the fur lobby. Let’s close this blog post with some excellent food for thought, extracted from one of the most intelligent reports we could read about this situation. 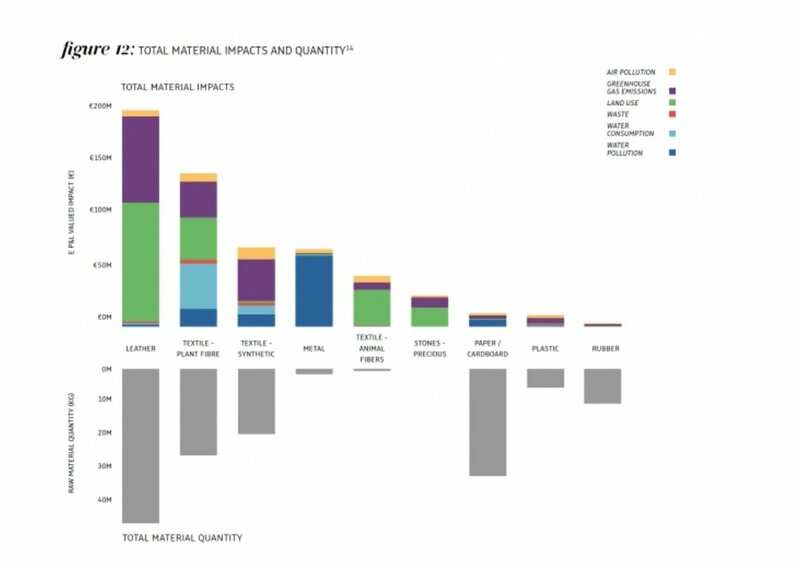 Denyse Roy, an associate Professor of the Ecole de Design Industriel from Montreal University puts it perfectly in a report named “LCA Eco-chic and supremacy of what is « natural » “. A review of some ten LCA reports bearing on frequently up kept body products (clothing) reveals a net environmental advantage for synthetic fibres (…) on the other hand, a large number of the recent literature on Eco-Chic abounds with partial and rarely measured approaches in which the Stream of consequences escapes good intentions. A census of keywords referring to nature (…) and typical images (fields, sky, cotton, leaf) serve to reinforce a shared perception in our society. The latter reveals a techno-phobia with regards to (…) synthetic fibres notwithstanding the context of their use. Many assumptions made by consumers are far too simplistic. For example, assuming that all natural fibres are better for the environment as compared with synthetic fibres ignores many environmental issues related to land use, current farming or harvesting practices, fibre-processing needs, use and care of the product by consumers.